The Astjoch dominates the Alpe di Rodengo that behind the river Rienza, right to the southeast, adjoins Maranza. The entire alpine plateau is a hiker’s paradise, the peak trail with the magnificent panorama of the Dolomites a real highlight. From the parking lot Zumis, you will hike a bit more than 5 hours (722 altitude meters). The colourful larch forests and the chance to observe chamois, turn the 3.5-hour ascent into a visual pleasure. From the parking lot Altafossa, you overcome more than 1,070 altitude meters on the rocky ridge to the peak. Some experience is necessary for this tour. The parking lot in Valles Valley is the starting point for this beautiful hike (1,285 altitude meters) that after approximately 4 hours offers you an inspiring panorama on three mountain lakes. In the deep Fundres Valley, starting from the parking lot Dun, walk across meadows, along lakes and picturesque cabins over about 3.5 hours through a rocky mountain landscape (720 altitude meters). 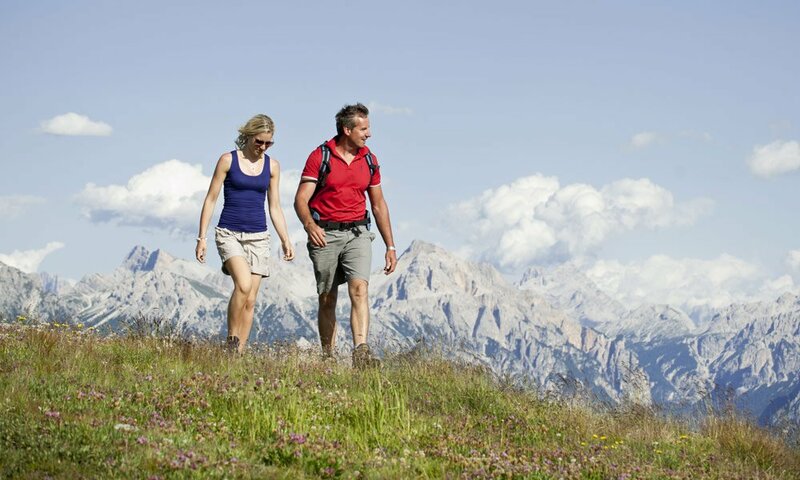 This is the true highlight of your mountain holiday in South Tyrol in Val Giovo Gitschberg: The highest peak of the Fundres Mountains – during the ascent (around 6 hours / 1,813 altitude meters) you may cross glacier fields even in the summer. You start at the parking lot Valles Valley and pass the famous Fane Alp.